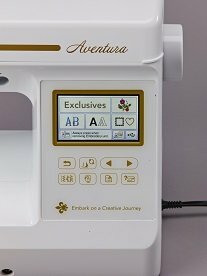 The Aventura has many advanced sewing features, too. 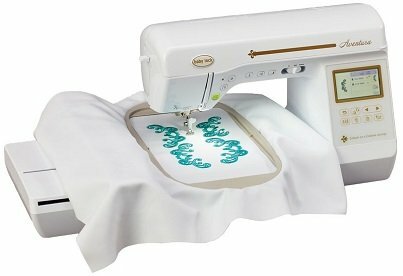 The Advanced Pivoting Feature will make it easy to sew curves and turn corners and the Automatic Fabric Sensor System will adjust tension for the perfect stitches on a variety of fabrics. From fashion sewing to embroidery home décor, the Aventura will always help you on your creative voyage.